Amen, halleluia and all that stuff…Katie Holmes has finally come out of some sort of coma and is in the process of divorcing Tom Cruise. Tom Cruise and Katie Holmes headed for Splitsville as Holmes files for divorce Thursday June 28, 2012 citing “Irreconcilable Differences” as the reason and asking for sole custody of their only child, 6 year old, Suri. Holmes filed for the divorce on June 28 or 29, 2012. This was Holmes first marriage but, Cruise’s third. He was previously married to Mimi Rogers and Nicole Kidman. 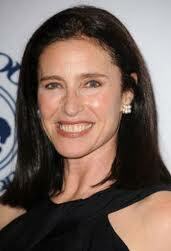 Mimi Rogers, Tom Cruise’s first wife, rumored to be the one who introduced him to Scientology. Nicole Kidman, Cruise’s second wife and longest termed marriage. Cruise married Holmes during an intense love affair in 2006, after proposing to her at the Eiffel Tower June 17, 2005 and holding the wedding on November 18, 2006 in the 15th Century Odescalchi Castle in Bracciano, Italy. It was all the stuff fairy tales are made of but, the storybook princess would eventually sit idle while her prince jumped up and down like a lunatic on Oprah’s couch, on national television during an interview on one of the most watched talk shows. She also sat back as her knight in shining armor laughed insanely, making little sense as he rambled on about his Scientology religion involvement and prompting comedian Jerry O’Connell’s spoof on Cruise’s interview. It is absolutely hilarious by the way and worth watching both interviews. Holmes was 27 years old when she married Cruise who was 44 or 45 at the time. Katie had dated fellow actor, Joshua Jackson from Dawson’s Creek for a brief period in the early days of the show then, went into a relationship with actor Chris Klein in 2000 and became engaged in 2003. Just weeks after the relationship with Klein ended, Holmes was into her love affair with Cruise, perhaps, making Cruise “The Rebound Guy”. Cruise had married actress Mimi Rogers in 1987 and their divorce was finalized in February of 1990. Speculation holds that it was Rogers who introduced Cruise to Scientology. By December 1990, Cruise had met and married actress Nicole Kidman. Talk about rebounds and moving fast, Cruise wasted no time either and perhaps, made Kidman “The Rebound Gal”. After adopting two children, they were separated in 2001 while Kidman was three months pregnant but, miscarried the baby. At some point after the break-up of his marriage to Kidman, Cruise moved onto the next relationship with actress, Penelope Cruz who co-starred with him in the movie Vanilla Sky. They parted ways in 2004. By April of 2005, he was dating Holmes. In October of 2006, Holmes and Cruise announced they were expecting a child and by November of 2006, they were enjoying the star-studded nuptials in Italy, though it’s been stated that they had already married in California within a day or two prior to the wedding in Italy. While the reason listed for divorce were “irreconcilable differences” the real reasons for the marriage breakdown can only be speculated that Cruise’s bizarre antics and heavy involvement in Scientology may have been factors. Holmes often appeared rather like a caged woman to a lot of people and media picked up on it. Often seen with their only daughter, Suri, now nearly 6 years old, alone and out shopping, it appeared as though Holmes was rather repressed and unhappy looking. Katie Holmes and Suri Cruise in one of many shots of the mom and daughter out together, alone. 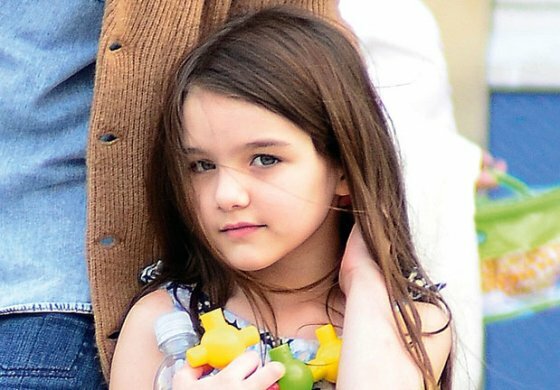 Suri Cruise, Katie Holmes and Tom Cruise’s only child, now 6 years old. It remains to be seen what custody arrangements will be made for Suri but, Holmes is said to have filed for sole custody. One can only speculate that she has done so because she may want Suri away from Cruise’s Scientology influence and heaven knows what else she may want her daughter protected from Cruise’s life and antics. Only the truth and time will tell. As of now, all people are doing are speculating but, likely very close to reality in some ways. Some sources have said that Cruise was in Iceland when Holmes filed the papers and it came as a surprise to Cruise in hearing about it. The couple had a pre-nup and the bulk of their estimated $275 million dollar combined assets are likely more heavily weighted on Cruise’s side than Holmes. That’s telling. The fact that Holmes will walk away from a huge chunk of those assets may be tell-tale that Holmes just wants out and her daughter with her. Perhaps, Cruise will soon find another relationship to jump into or, perhaps, he has already found one. His track record in relationships has not been one of long-term. Turning 50 on Tuesday, Cruise will likely be on the prowl sometime soon again or, may be settling into another “love”. Who knows? I would also ask the question of “who cares” but, I think the next woman he gets into a relationship with should. In the meantime, let’s hope that Holmes and Suri can move on with their lives. At only 33 years of age, Holmes has a lot of living left to do…even if it does appear that she’s had a lifetime of it already.